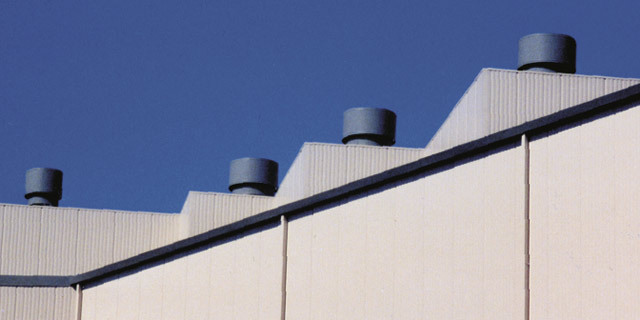 Minimize and consolidate roof penetrations into a single, inconspicuous point whenever possible. Clad pipe penetrations to match the roofing material. Avoid the use of rooftop mechanical equipment, however for renovations and unavoidable configurations ensure units are screened. 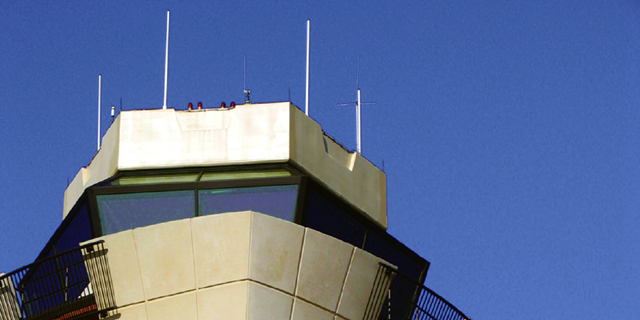 Provide access points and service routes to equipment that protect the roof. 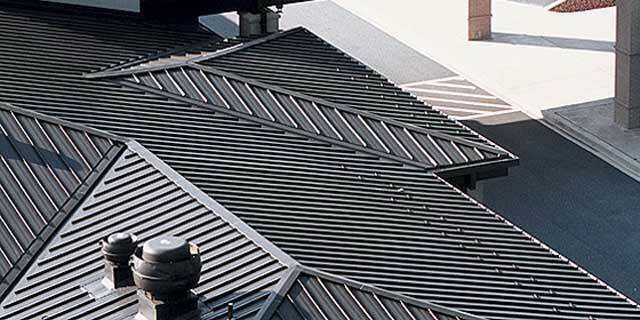 Ensure attic spaces are properly vented at ridges and soffits. 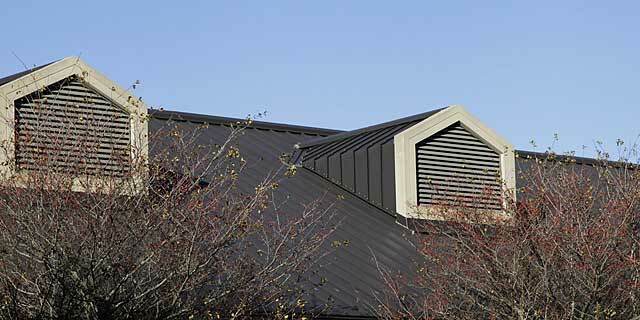 Match roof color for all exposed equipment and vents. 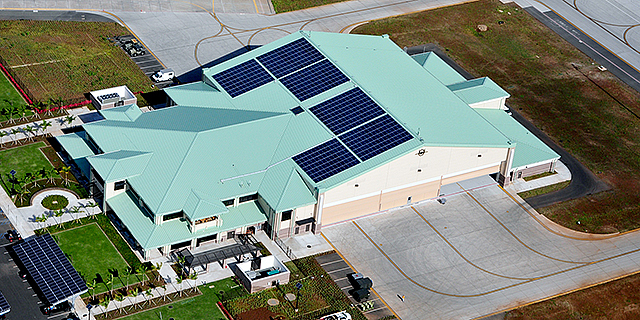 Arrange Lightning Protection Systems (LPS) components in an ordered, uncluttered, inconspicuous appearance and integrated into the organization of the roof and wall systems. 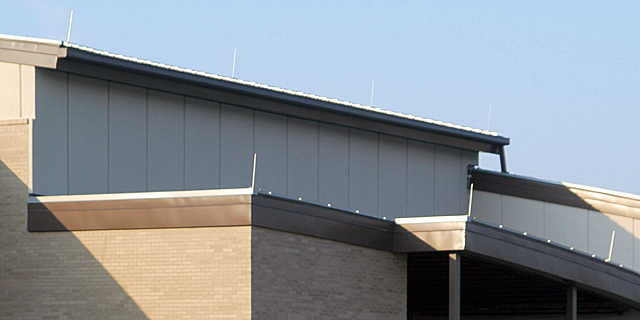 Ensure that LPS roof mounting systems are approved by the roofing manufacturer. 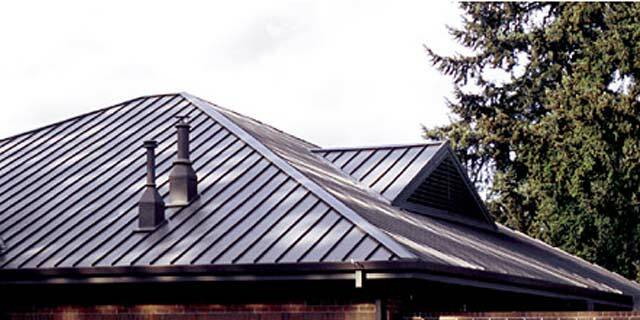 Additions to a roof shall not interfere with LPS or other rooftop systems that may be required. 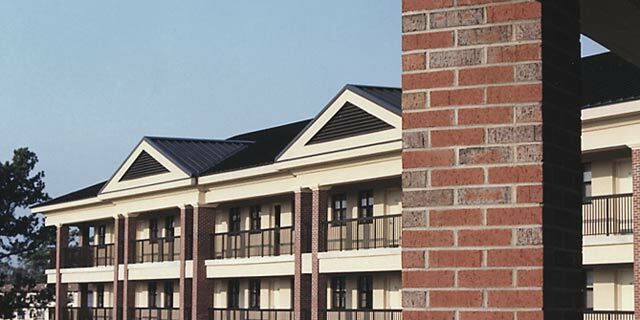 Permanent fall protection shall be included with any addition to a roof with a slope above 3:12 per UFC 3-110-03.